Since 1885, Mason Pearson has built their hair tools in England with superior quality to last as long as possible. 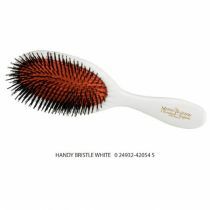 The coveted Mason Pearson hair brush has been a favorite of celebrities and hair stylists for decades. Pure Boar and Nylon Bristle. Dimensions: 8 1/2" * 2". Best for normal to thick hair which is short to long. 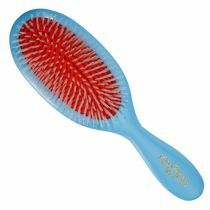 Regular brushing plays an important part in the condition of your hair. 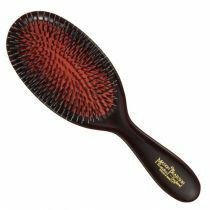 The Mason Pearson Hairbrush cleans the hair, stimulates the scalp increasing the blood flow to the roots. 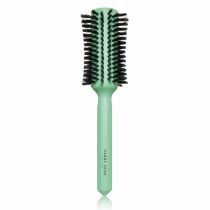 A natural conditioning oil - sebum- comes from a gland at the base of very hair; brushing spreads it along the length of the hair giving it strength, suppleness and producing a healthy sheen.